I celebrate February. I don’t celebrate just my day of birth. I usually spend February meeting up with special friends, spending time appreciating arts as much as I can (because it’s the Arts Month! ), buying (more than the usual) things for Self (because she totally deserves it), plan stuff, accomplish special personal tasks, etc. And so Feb 19 is just a little bit more special than any other day in Feb to me. But I always make it a point I celebrate my actual birthday with a simple dinner with my family. I can remember two birthdays that I was away from home, though. I celebrated my 18th birthday in Baguio with my college classmates and housemates. Yes, I didn’t celebrate my so-called debut the grand way like almost every girl does. Of course, I dreamt of having a party like that but we didn’t have the extra money for it. It would have been so impractical. So my housemates, strangers who became my instant family while I was living there, prepared a picnic at the park. It was memorable because they all pitched in. Looking back, my debut was a blast in its own, unique way. The second birthday that I was away from home was my 25th. I was in Iloilo for work. My boss didn’t actually know it’s almost my birthday when she decided to do a branch visit. It was not that bad for me since I really enjoy traveling for work. But to make up for it, she, together with the Ilonggo staff, set up a surprise for me complete with cake and a candle. At night my barkada for the day–Migs, Kate and Jaye– brought me to Bourbon and Nothing But Desserts to celebrate. The Ilonggos are the sweetest! It was indeed a sweet birthday away from home. This year, I had a simple dinner with my family at Shakey’s. Hindi naman kasi mahirap i-please ang aking pamilya, specially now that we have Aaron. I think kung saan s’ya masaya, dun kami. The original plan actually was to go to Tagaytay for an overnight. I had to postpone it for perhaps a later date this year. With a little help from a friend who’s now a pastry chef, I made my birthday this year a bit special. I’ve always been a fan of the Birkin bag ever since… hmm, I really couldn’t remember. Basta, feeling ko it’s the ultimate “it” bag because it’s very, very expensive. And I really like the style. I can’t afford it, though. I don’t even know if I’d ever afford one in this lifetime. With my fascination of this most-coveted bag, I stumbled upon a bunch of cupcakes with a Birkin bag topper. So cute! I said to myself, If I can’t have the bag (yet), I’m gonna have the cupcakes! 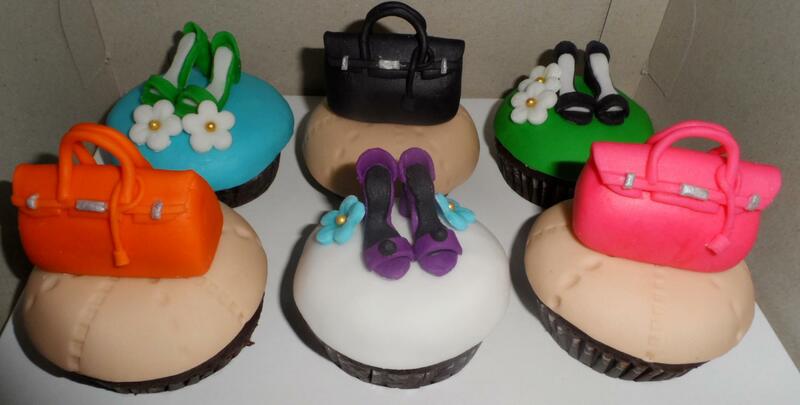 Cute Birkins and Shoes Cupcakes by Vittoria Patisserie! In case you’d like to order something like these cutesies or other customized cupcake designs, shoot an email to vittoriapatisserie@gmail.com. 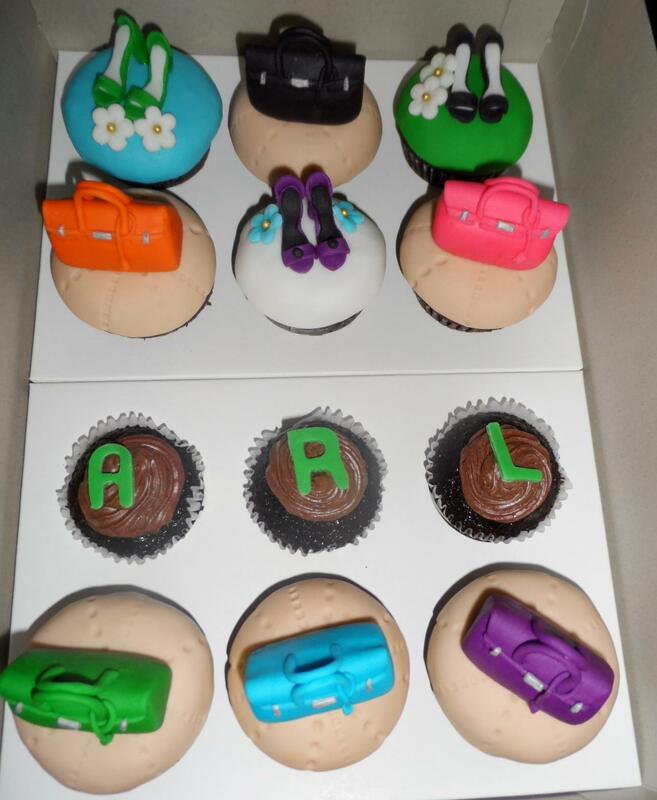 This entry was posted in Me, Myself and Arl and tagged Birkin bag, Birkin cupcakes, cupcakes, shoes cupcakes, vittoria patisserie. Bookmark the permalink.